Seattle's Home Port Fishermen's Memorial was dedicated in 1988 a stands as a magnificent bronze and stone aggregate monument at Seattle's Fishermen's Terminal. 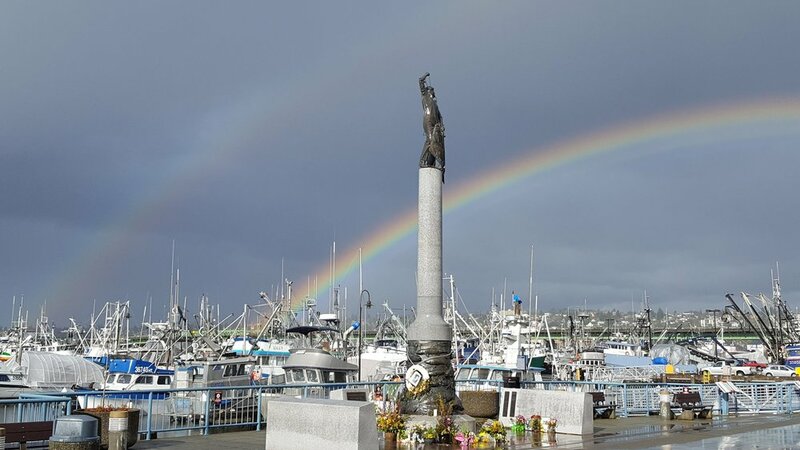 This towering sculpture and the bronze name plaques at its base have become a place of reverence, recognition and healing for the families of the nearly 700 local commercial fishermen who have lost their lives pursuing their livelihood since the turn of the century. Contributions the memorial helps provide outreach and assistance to loved ones of those lost at sea fishing and provide funding for safety training, scholarships and outreach.